Ten years into my nursing career, I worked with a patient who was challenging in his emotional intensity as well as his diagnosis. Through working with him, I was able to “see” chakras. Before that, I had never heard of the word. 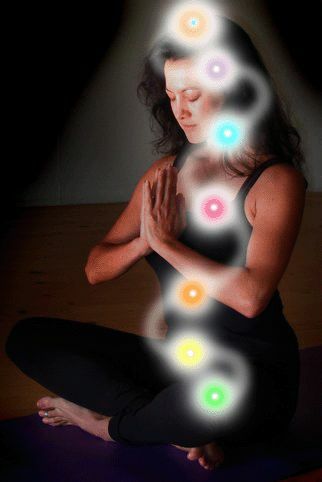 I immersed myself in learning about chakras and Eastern medicine. During my work in the hospital, I began to “see” what a liver/heart/pancreas/ brain dysfunction “looks “ like on many levels. In this way, I created a very complementary training for myself. I also learned what health “looks” like. I learned about and focused on health during that time instead of disease. I learned that before disease ever manifests in the physical body, it is starting in the emotional and energy body. Negative thoughts create dis-ease when they recur over time. In 1999, I became a Reiki Master. In my client practice I focus on exploring the thought patterns that create ill health, as well as explore health/life habits and balancing of the chakras, or energy centers. Health has since come to mean to me a balance of all facets of our Self. It doesn’t always mean an absence of disease but a balance between the energy we put into the world and the energy we are open to receive. It is the way we metabolize, generate and maintain energy.